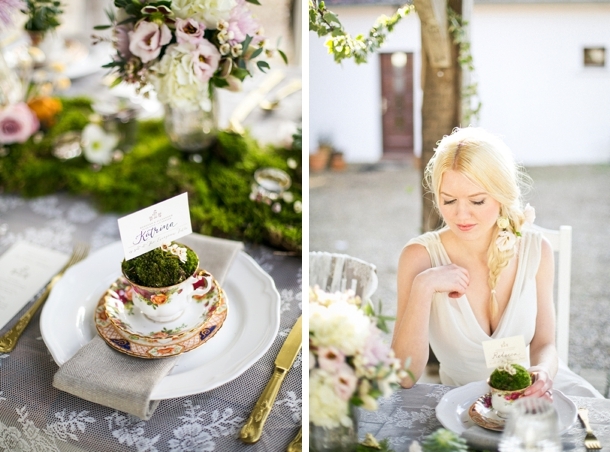 A while back, my lovely friends (and regular collaborators) photographer Anneli Marinovich and stylist Louise Beukes headed off to a picturesque little corner of the French countryside for the weekend, to create an enchanted woodland-inspired styled shoot, which sounded like the best idea ever to me. 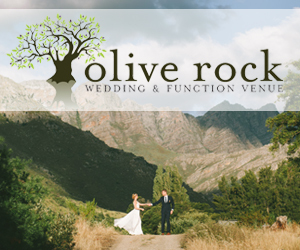 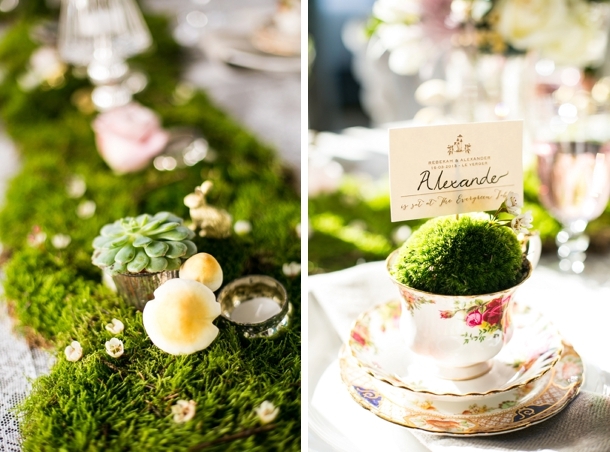 And then I saw the results over on Rock My Wedding and I fell in love with its fairytale enchanted forest wedding style, even more than I’d imagined I would. 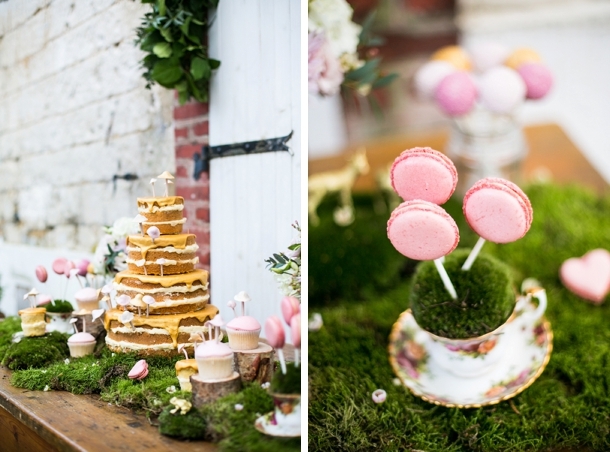 Gold forest creatures, a cake dripping with caramel (and tiny fondant mushrooms), heart shaped macarons, lush roses, moss, a floral chandelier. 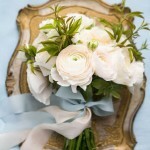 Each detail is more heart-racingly beautiful and inspiring than the last. 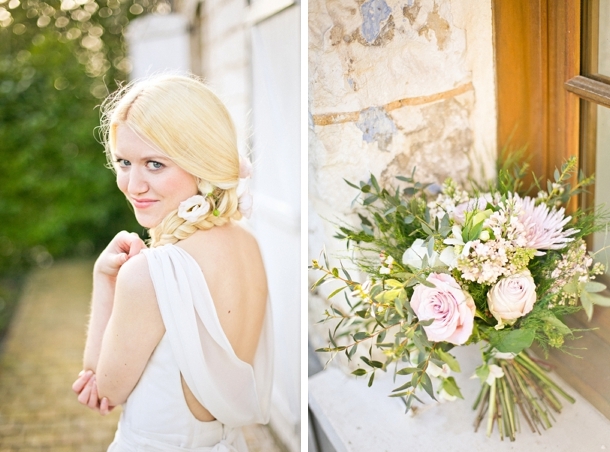 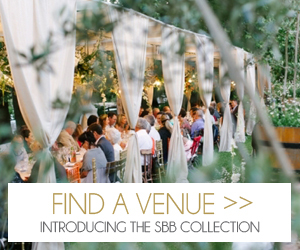 So I’m super excited that these talented wedding pros are sharing their shoot on SouthBound Bride today. 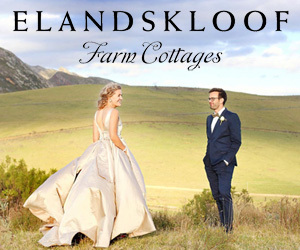 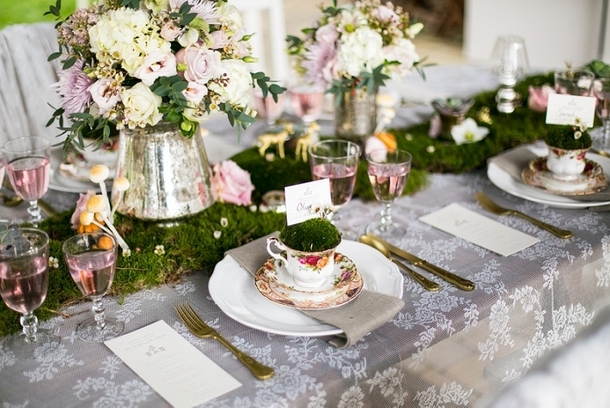 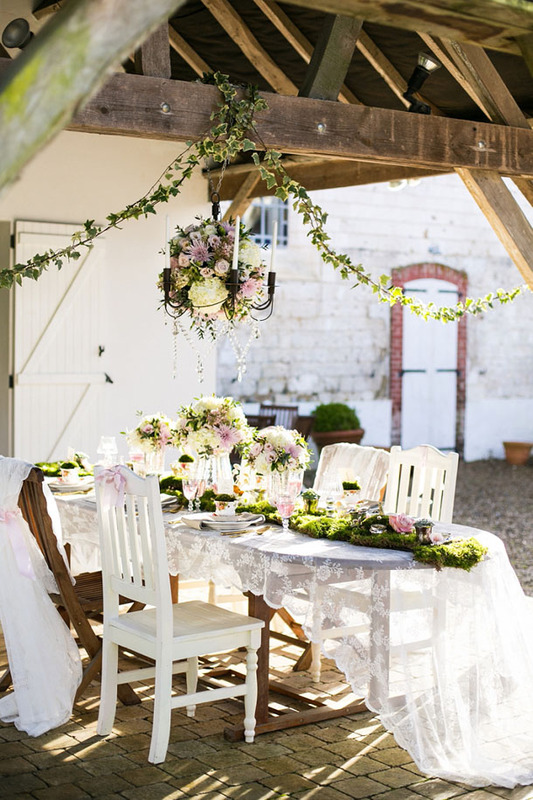 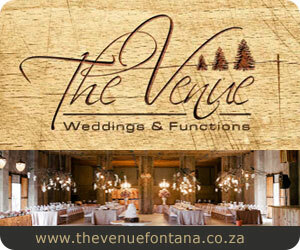 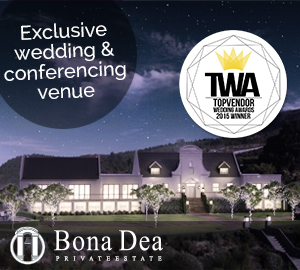 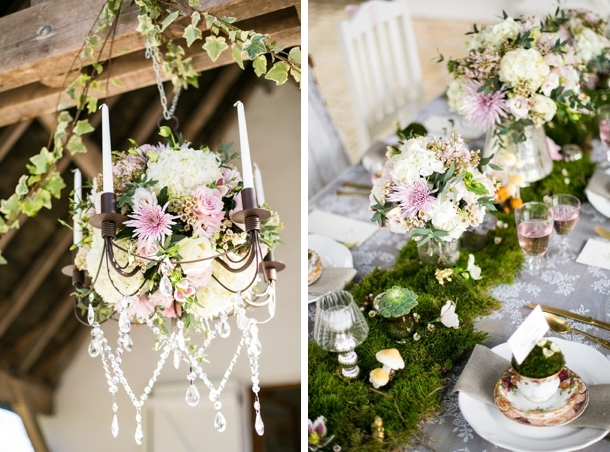 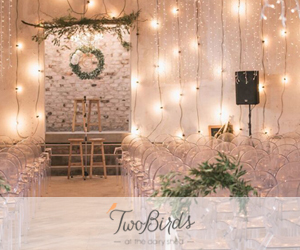 If you’re planning a woodland wedding (and I know many of you are, especially with the great forest venues SA has to offer), then consider adding a little touch of whimsy and fantasy to your decor as Louise has done here so well – it’s gorgeous, and takes the look from rustic prettiness to all-out enchanting. 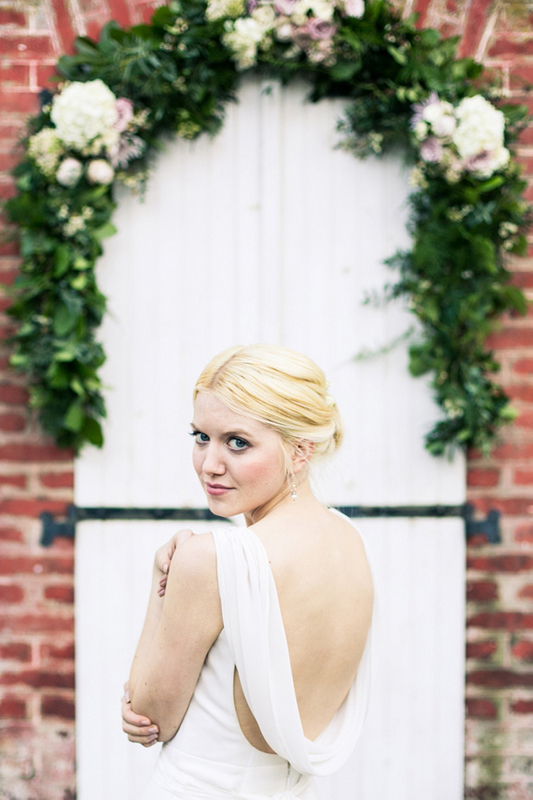 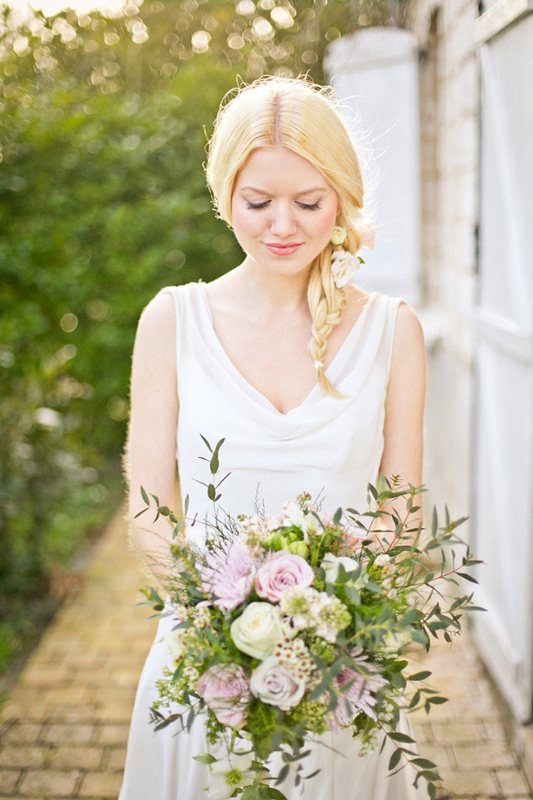 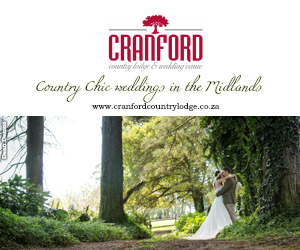 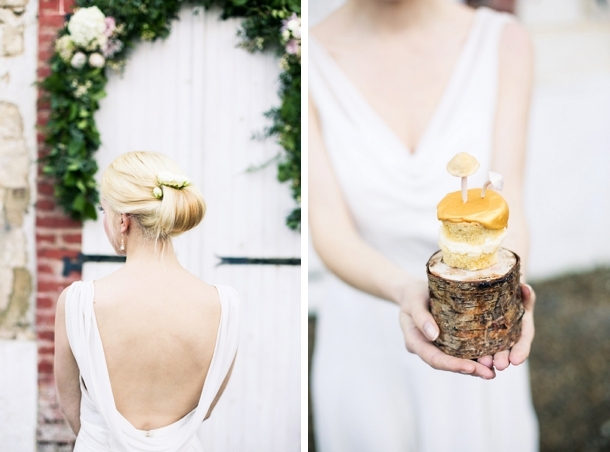 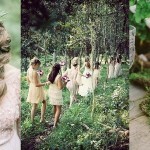 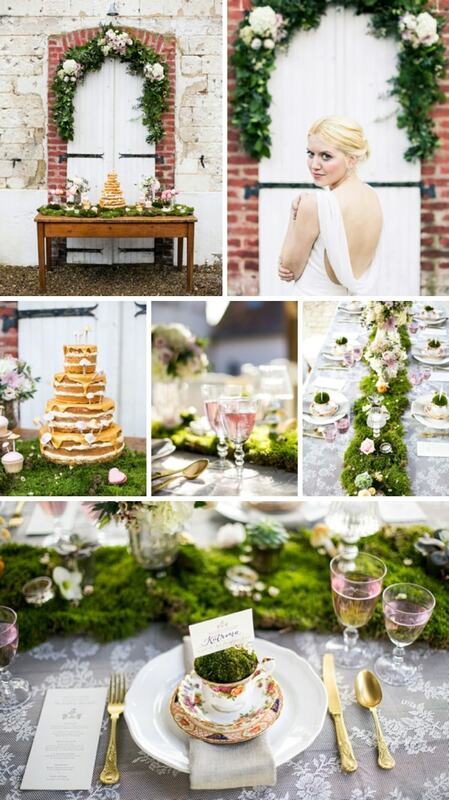 The shoot was inspired by the romance and whimsy of childhood dreams, and the rustic textures of an enchanted forest. 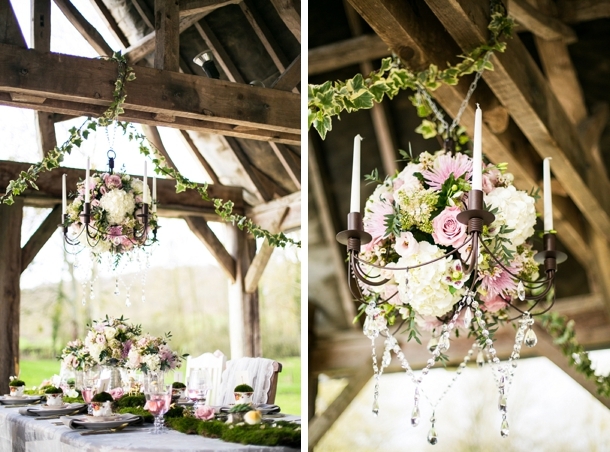 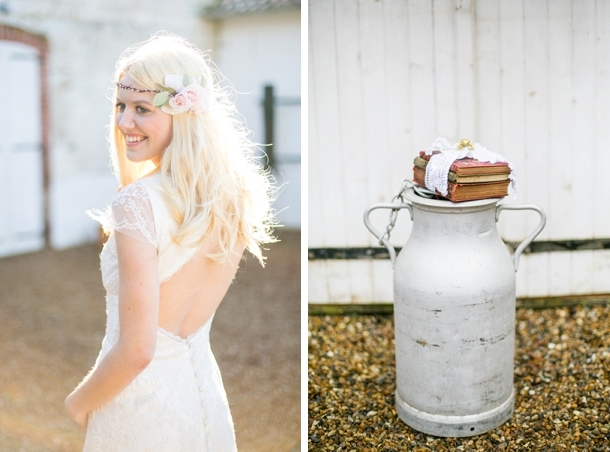 I wanted to create a shoot that showed rustic styling can still be pretty, and that whimsical touches can still be grown-up and elegant. 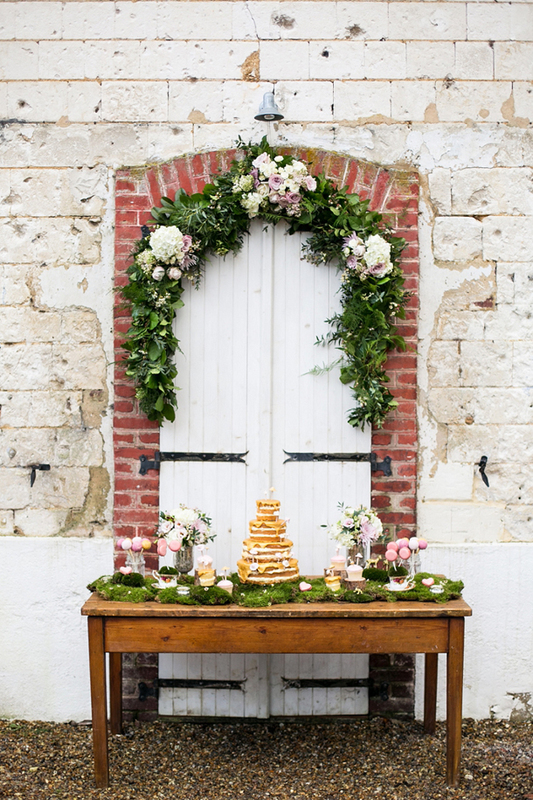 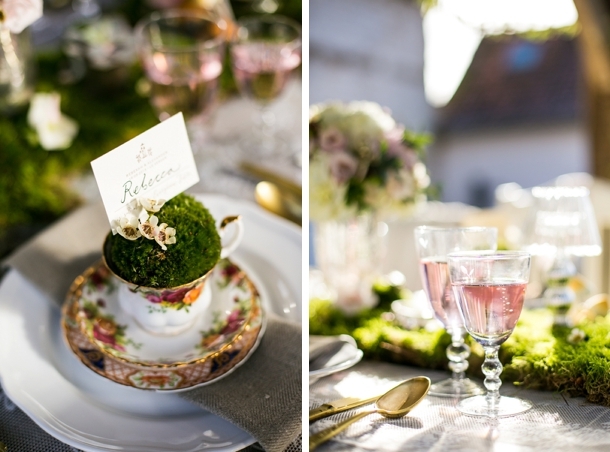 To do this, I chose a pretty palette of blush pink, mushroom, moss green and ivory to complement the natural outdoor setting and the idea of a dream wedding, and incorporated a rustic French farmhouse style inspired by the venue. 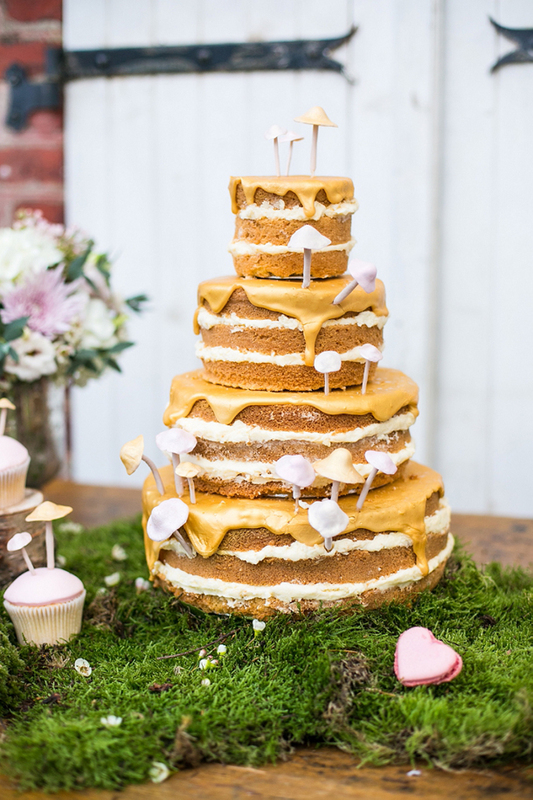 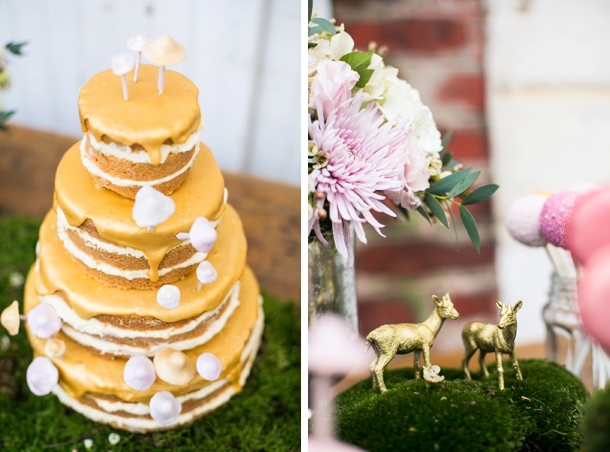 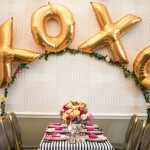 Gold-painted animal figurines and mushrooms were used on the table and cake to bring a touch of whimsy – the motifs were picked up in the table styling and stationery to bring the different elements together in a simple but effective way. 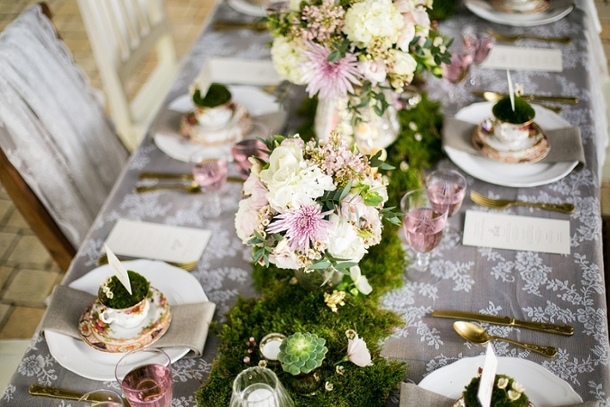 Tiny flowers and mushrooms used in the moss table runner added detail and intrigue, while the statement chandelier of elegant blush and ivory flowers and large table arrangements created impact. 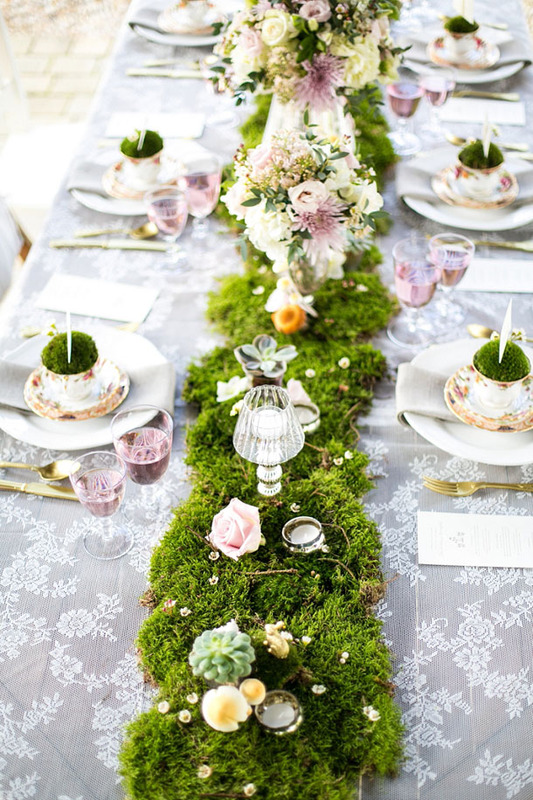 Vintage china was used for the place settings, with moss-filled teacups, and lace details add a pretty touch to the garden chairs. 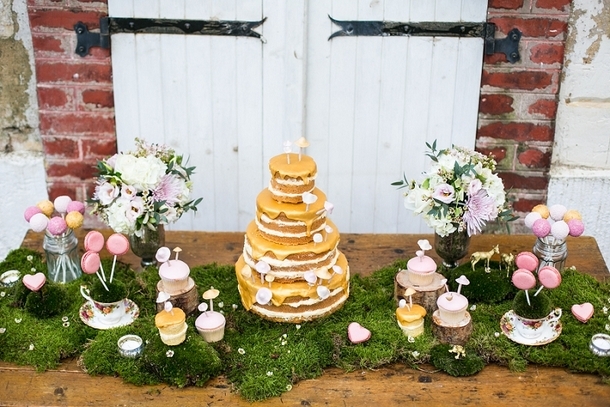 For the dessert table, we had a dripping gold naked cake, decorated with dainty sugar-paste mushrooms designed by Andrea at Cake by Sugar as the centrepiece, with pink-iced mounds and pink and gold cake pops, and the prettiest heart-shaped macarons and posh pops from Anges de Sucres adding a French twist. 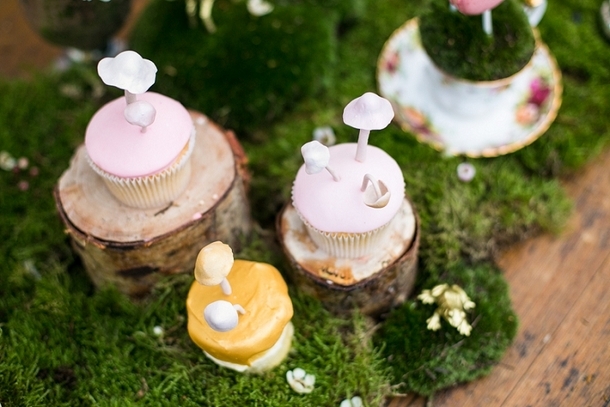 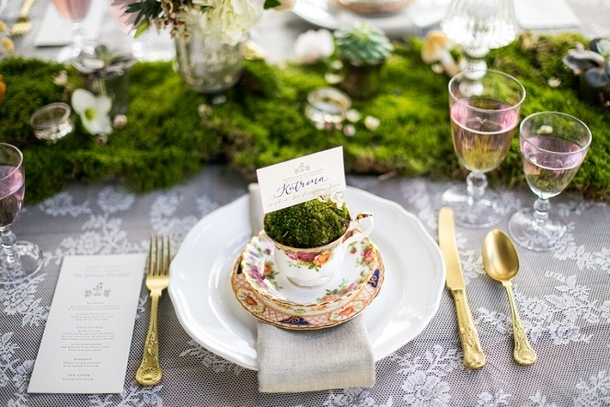 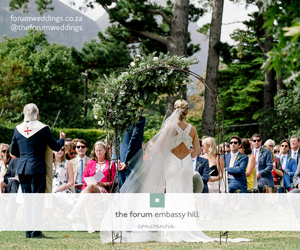 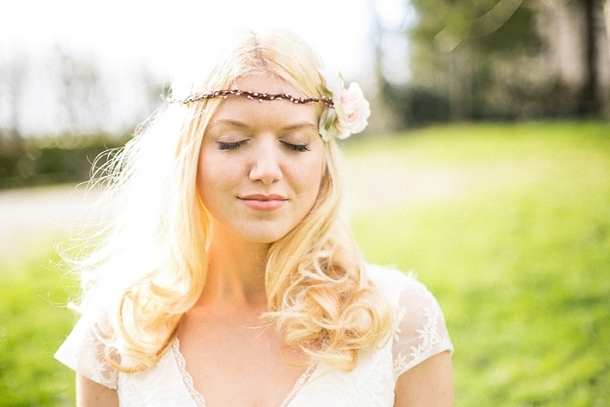 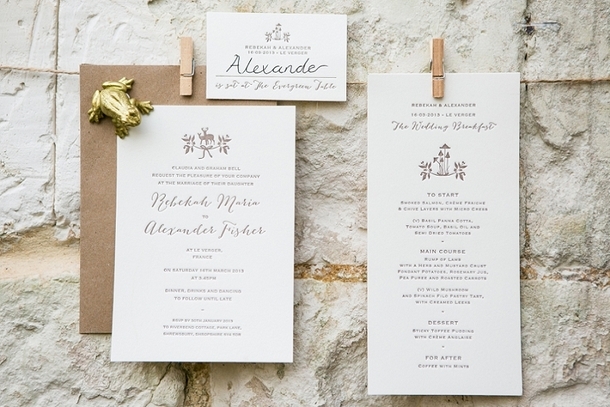 Find more forest wedding inspiration on Pinterest!